North West Cambridgeshire MP Shailesh Vara has asked for action to be taken to prevent more ‘misery’ for motorists after speaking out about the Peterborough roadworks at the Houses of Parliament. Mr Vara spoke in a sitting at the House of Commons today (Thursday) following a week of queues and delays for motorists. He said: “This week there has been absolute misery for motorists in my constituency. This has arisen because of a decision by Highways England to close off a slip road at Junction 17 leading onto the A1(M). “The decision, taken by Highways England without any consultation of local stakeholders, with inadequate notice to motorists and with irregard for a diverted route. 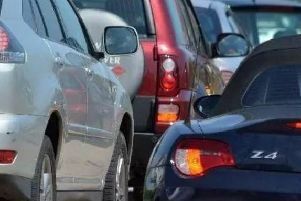 Yesterday Highways England admitted the traffic chaos caused by the roadworks, which started last Friday, had been ‘worse than expected,’ and apologised for the delays caused.